Silver Color: Sally Hansen "Pure Chrome"
They're really pretty. 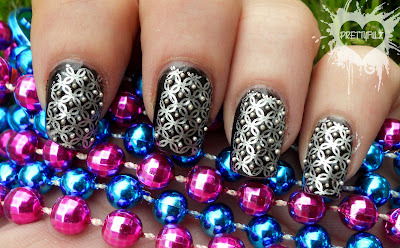 I love the way you showcased them too, they go really well with those coloured beads. I love seeing cameos of blogger's dogs in post. You have such a cute doggy, he has such kind eyes. 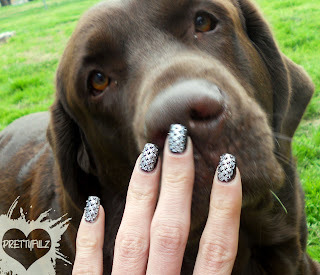 --and this is such an ammazing mani, I am loving your blog! I'm now follower. *Forever92~ TY! I am following you too<3 & aww yea he does have kind eyes!! He's sucha loveable little thing. & I agree, I love seeing other blogger's pets lol. Omg this is sooo pretty! (sorry if this is a stupid question, I'm new) How did you do this?!? !